Creighton Manning provided highway design, survey, and construction inspection services for this $3M project involving both pavement rehabilitation and full depth reconstruction, sanitary sewer and water infrastructure replacement, storm water management design and permitting, and under-ground and overhead utility relocation coordination. A pavement reinforcing grid was used between asphalt lifts to address reflective cracking from the concrete pavement slabs below. 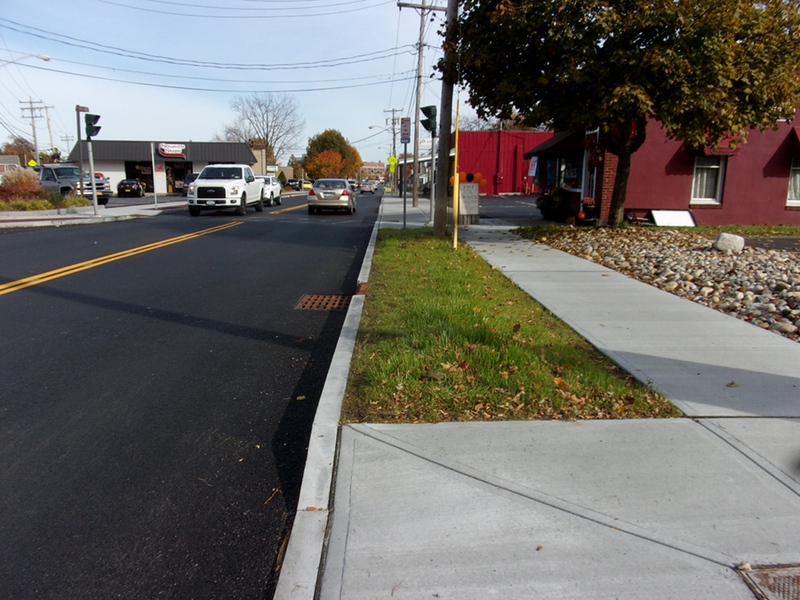 The project reconstructed sidewalks, installed curb extensions and replaced three traffic signals. 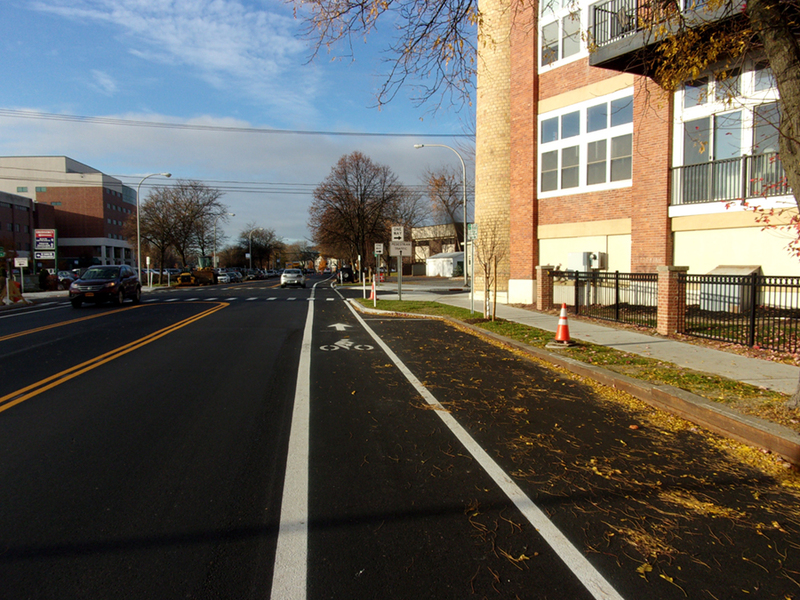 Dedicated bicycle lanes were implemented along this urban corridor along with bicycle safe grates. Construction phasing was developed to minimize impacts to off-street parking and hospital operations. The project reduced overall impervious surface area and associated stormwater runoff to the City’s system. 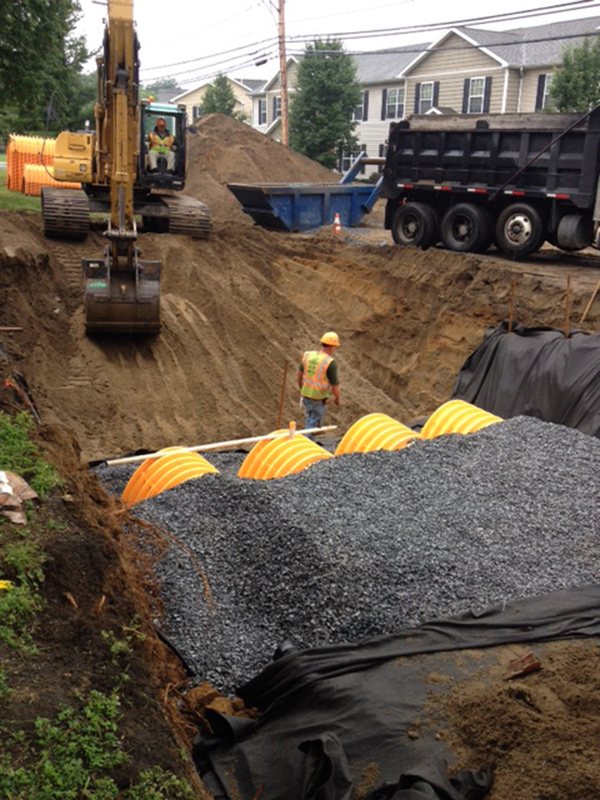 Existing runoff was directed to underground treatment chambers to store and treat the water. To improve traffic and pedestrian safety, an existing “Y” intersection was modified to create a more perpendicular intersection which simplified vehicle movements and provided a shorter pedestrian crossing.